Stepping out of one's comfort zone can be a nerve wrecking situation. Even if it is doing something that I've always wanted to do - to work for myself. I would be lying if I said I was as cool as a cucumber when I started all this. The only statement that was ringing in my head was "Would this even work?". That's when, my partner-in-crime stepped in and say that if there is ever a slightest doubt in what I want to do, then nothing will work. On the contrary, if there's will and the desire to succeed is strong, things will always work out to its best ability. We wanted a clothing line that spells wacky, cute and one of a kind, all in one brand. Of course we want it to be comfortable, at its highest quality at an affordable price. Basically what every parent would want for their child, including me. Doublechin is all that! We also wanted to provide as much flexibility as we can to people out there. Customization becomes an important element of doublechin; with no minimum order quantity. Yes, you heard me right. There is no customization too big or too small for doublechin to handle. 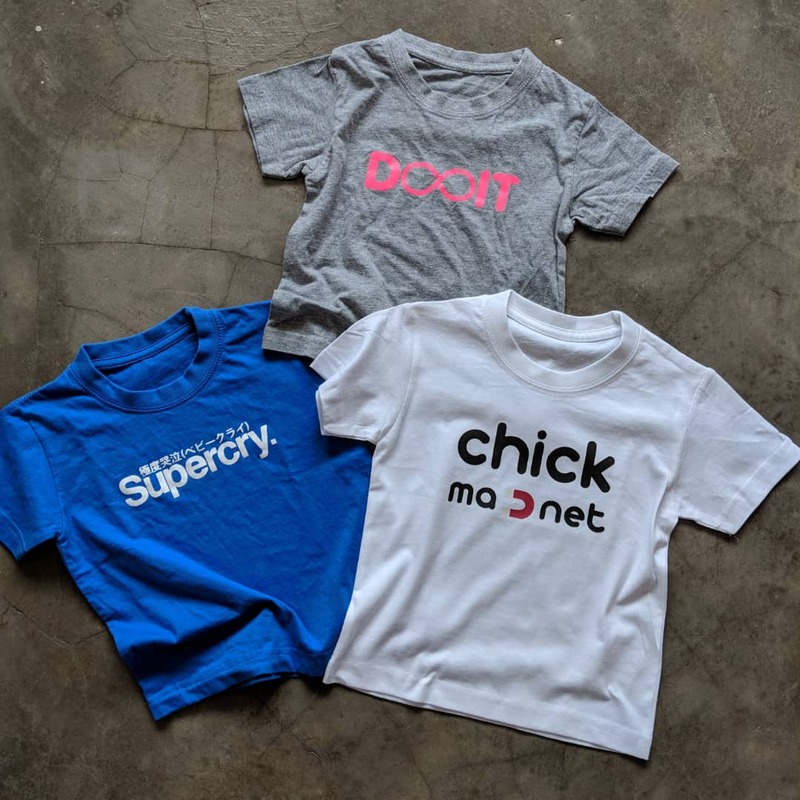 Whether it's for a family occasion or a small startup company or BFFs get-together, we can help to customize tees and rompers to your liking. There will be more products to come in the near future! This is definitely an exciting new beginning for us at doublechin. We can't wait to be at your service and help you with any clothing related request you might have. Until our next post, have a great day ahead. Copyright © 2019 DoubleChin Marketing.